Our Chelmunds Court residents have been reaching out to their local community and have enjoyed establishing new connections and making new friendships as they immerse themselves into the opportunities available to be an essential part of the Chelmunds Cross and Chelmsley Wood community. 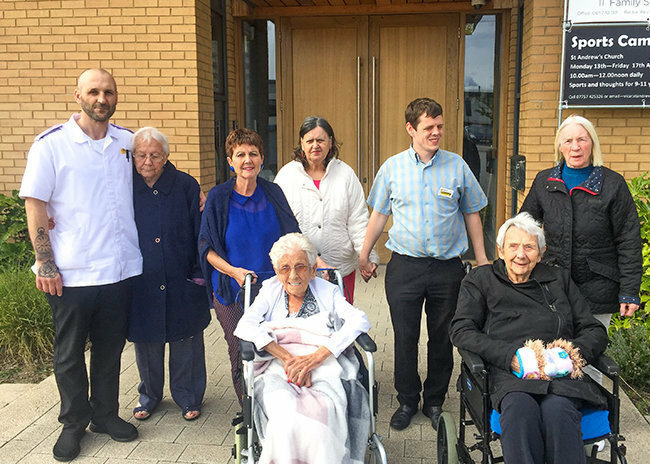 Pictured here, residents of Chelmunds Court, assisted by their companions and carers, regularly enjoy an outing to attend services at their local church, St Andrews Church of England. 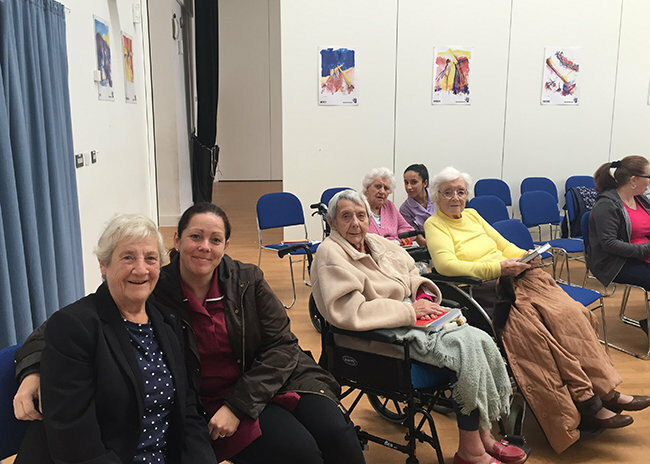 Following the church service, residents made their way to Three Trees Community Centre where they enjoyed refreshments and made further arrangements to take part in local events. Keep checking back to see what else our residents at Chelmunds Court are getting up to! Chelmunds Court is a residential care home in Chelmunds Cross, in the Chelmsley Wood area of Solihull. The modern and spacious care home provides nursing care, dementia care as well as residential care to older people. For more information or to make an enquiry about the care services available at Chelmunds Court please call 0121 770 4254 email chelmunds.court@runwoodhomes.co.uk or visit the Chelmunds Court web page by clicking here.